Freckles is an 19 months old spayed female. She gets along with everyone. She is NOT good with female dogs. She is one of those dogs who loves life and has loads of energy. The application process is to go to our website and fill out an adoption application form. http://www.nepyresq.org/page/adoption-process-47.html The adoption fee is $350 but will be going up to $400 as of 10/1/18 due to cost of medical needs of our dogs. We do not accept INVISIBLE fencing for the following reasons: 1) Most Pyrs ignore the pain and go through it. 2) This is a guardian breed and this fencing does not keep people or other animals out of your yard. 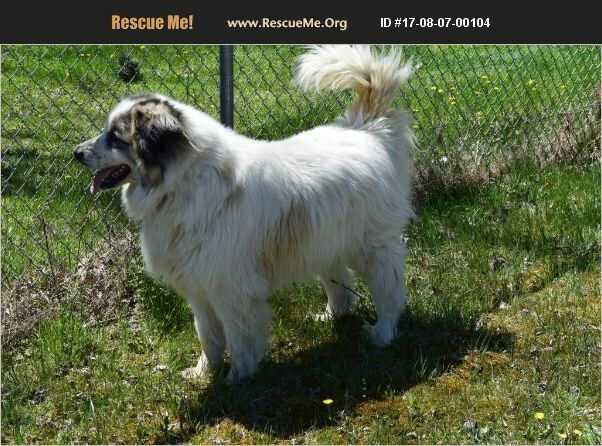 The Pyr could take them as a threat or be attacked. Most of these dogs are not a dog park breed. They bark a lot and can bother your neighbors.